The box-office-dominating Spectre may be Daniel Craig’s last outing as 007—or it may not be. Either way, the film certainly seems like a victory lap or a valedictory speech, especially given how many references it contains to previous entries in the James Bond series. YouTuber Mr. Sunday Movies has taken the liberty of cataloging all of these intra-franchise citations, some subtle, others glaringly obvious, and he has compiled them into a handy, spoiler-heavy video whose bold title claims it captures “Every Easter Egg & Reference” in Spectre. Mr. Sunday Movies is a little less authoritative in the video’s description: “By every,” he writes in that space, “I mean some.” Still, overall—especially for those who didn’t do their master’s thesis on the works of Ian Fleming—the irreverent yet information-packed video is well worth watching. After first acknowledging that Spectre is not essential viewing, since “it drags in the middle, and it doesn’t really make a lot of sense,” the video’s quippy narrator starts to work, detailing exactly how the 2015 Bond film echoes the past films, plus Ian Fleming’s novels and short stories, too. 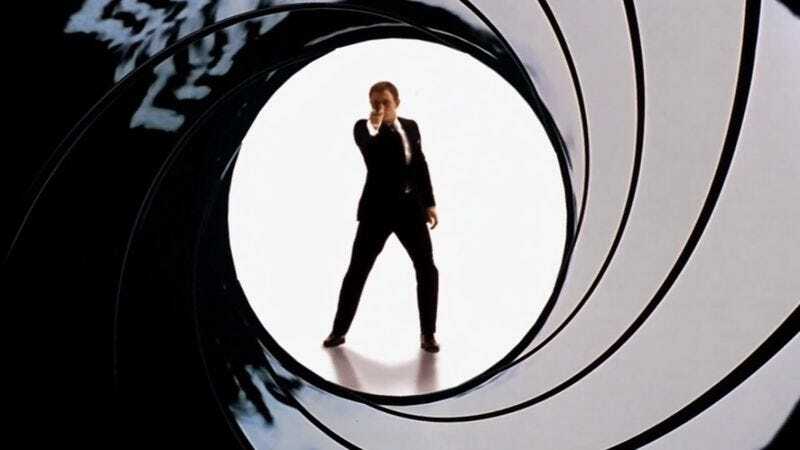 Surprisingly, this is the first Bond film of the Daniel Craig era to start with the iconic “gun barrel opening,” perhaps the definitive image of the character in most people’s minds. Other Bond mainstays turning up here: the white dinner jacket with the red carnation, the “shaken not stirred” line, a “gadget watch,” and an ejector-seat-equipped Aston Martin. While Spectre also pays tribute to the Sean Connery films, like Goldfinger, and the Roger Moore films, like Live And Let Die, it is the other Daniel Craig films that are most often quoted here. The exception, not surprisingly, is Quantum Of Solace. “People hate that one,” the narrator explains.